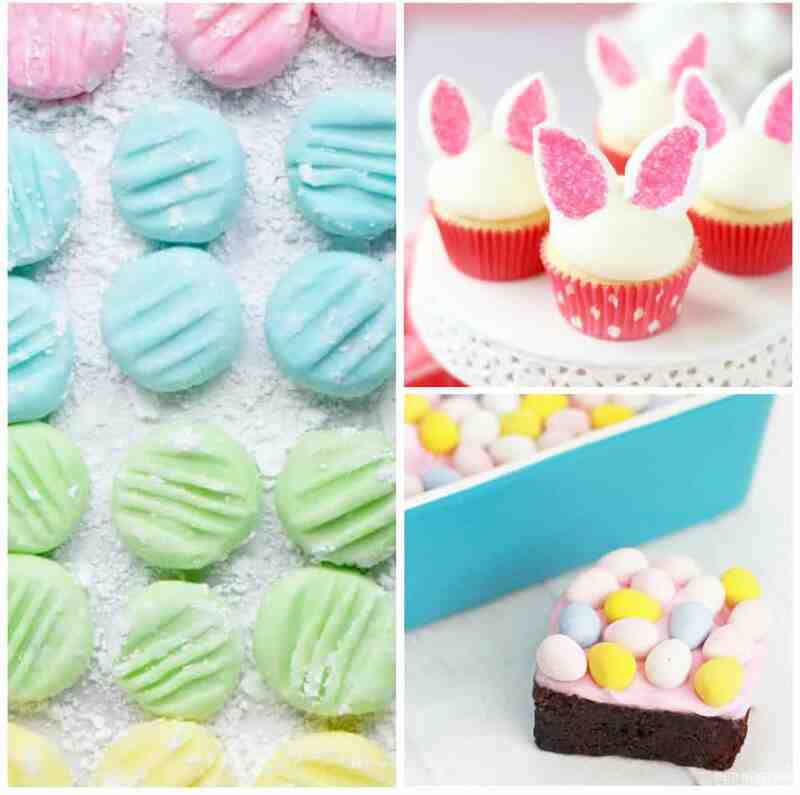 30+ Fun Easter Dessert Recipes! Yummy and festive! 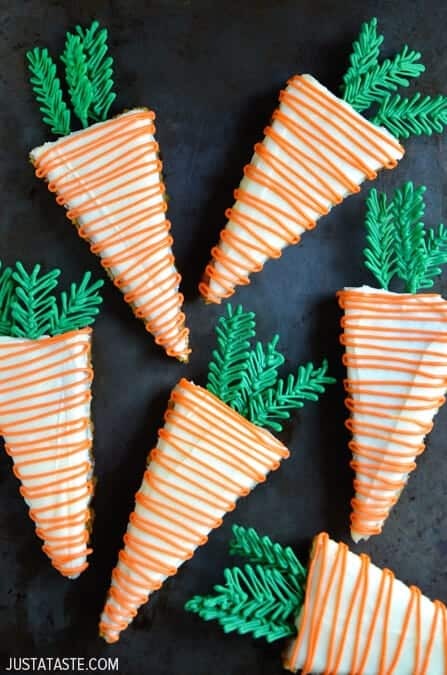 Over 30 fun and festive Easter treat ideas! Perfect for all your Easter festivities, or just Easter day with family! I am so excited for Easter. I love celebrating the Savior and what better way than spending time with your family eating delicious treats? I love the pastel colors, light flavors like marshmallow, coconut, lemon, lime, strawberry and all kinds of rich chocolatey goodness! Every Easter Sunday after church, we love to make fun Easter treats and then play Easter bingo. The only hard thing is… which dessert to pick this year? 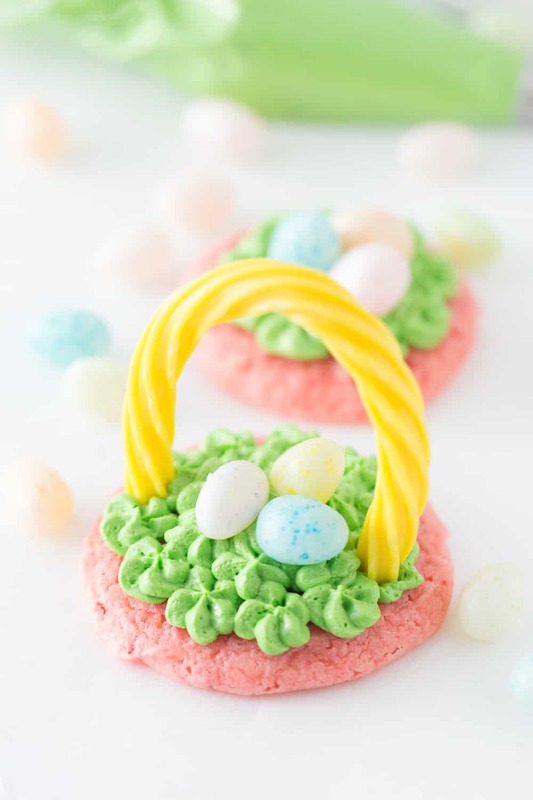 These Easter Egg Cookie Baskets are so cute! The best kind of easter basket is an edible one. 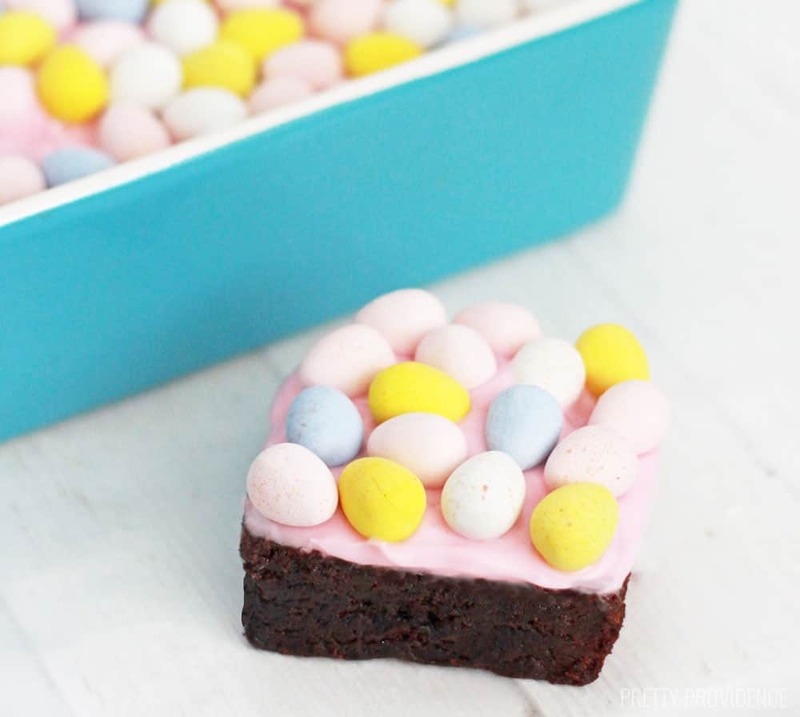 Our Cadbury Mini Egg Brownies are classic Easter. 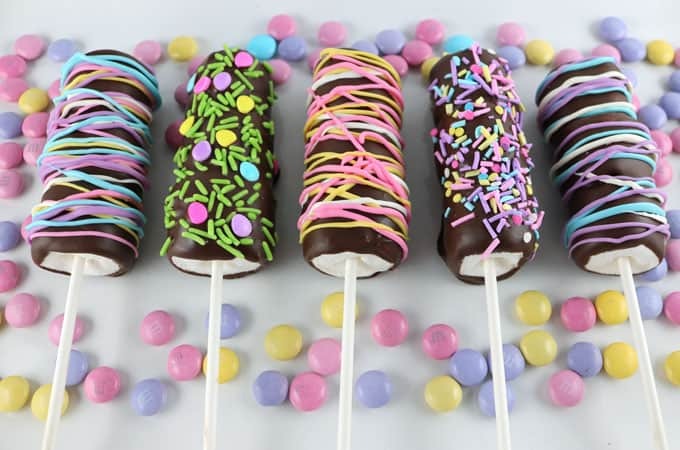 So easy to make, but they look gorgeous! 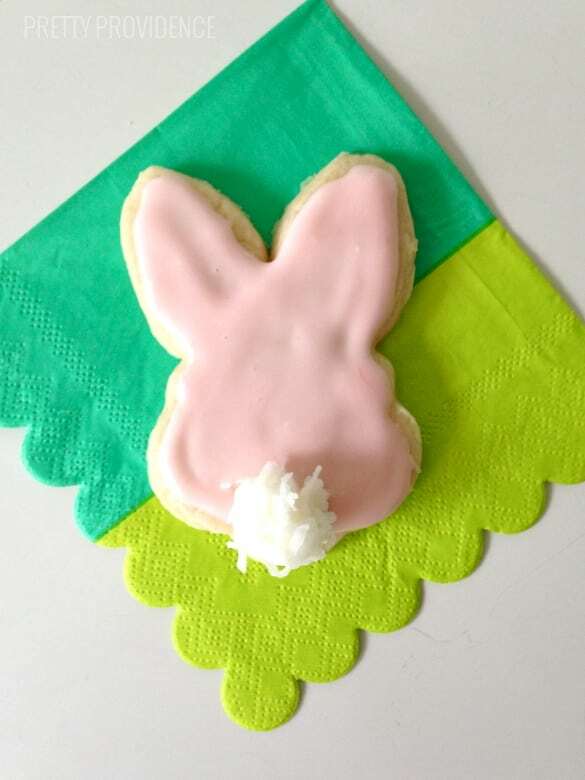 Bunny Tail Cookies are simple and so classic, with just the right amount of easter fun. 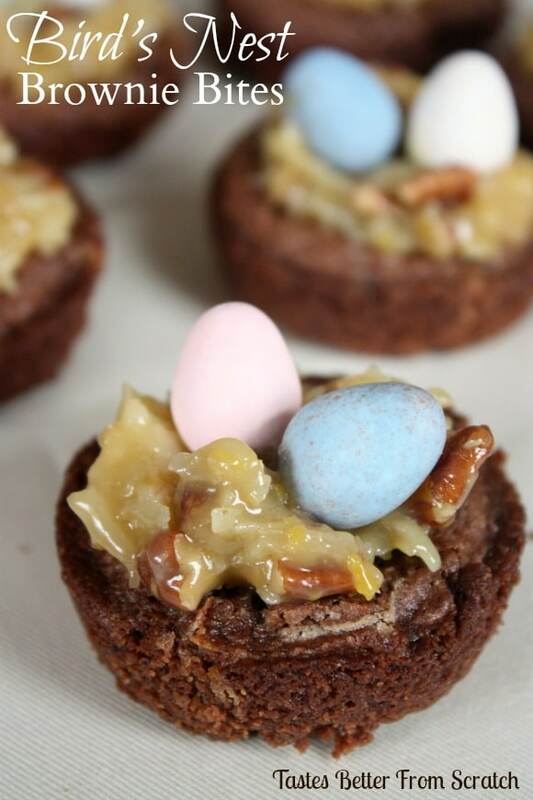 Bird’s Nest Brownie Bites combine all that is good about easter. Chocolate, coconut, chocolate eggs. You can’t really go wrong. 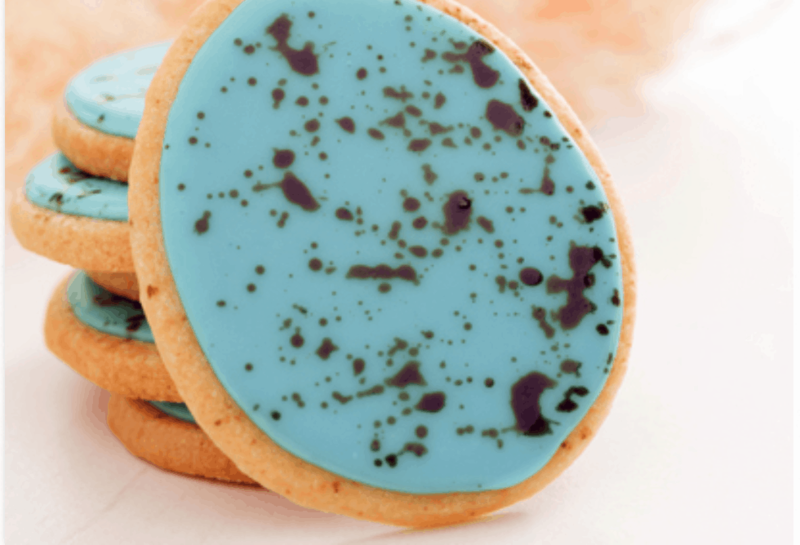 These Malted Robins Egg Cookies from C&H look almost too good to eat! You wouldn’t believe how easy they are. 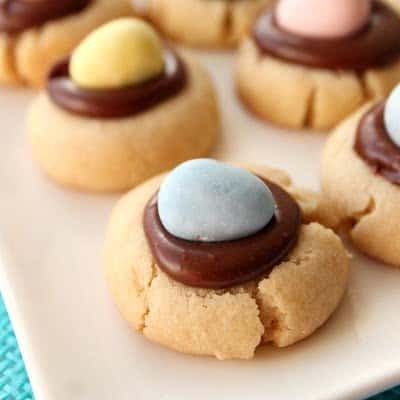 How amazingly simple are these Chocolate Thumbprint Cookies from Six Sisters Stuff? The egg on top adds just the right touch. 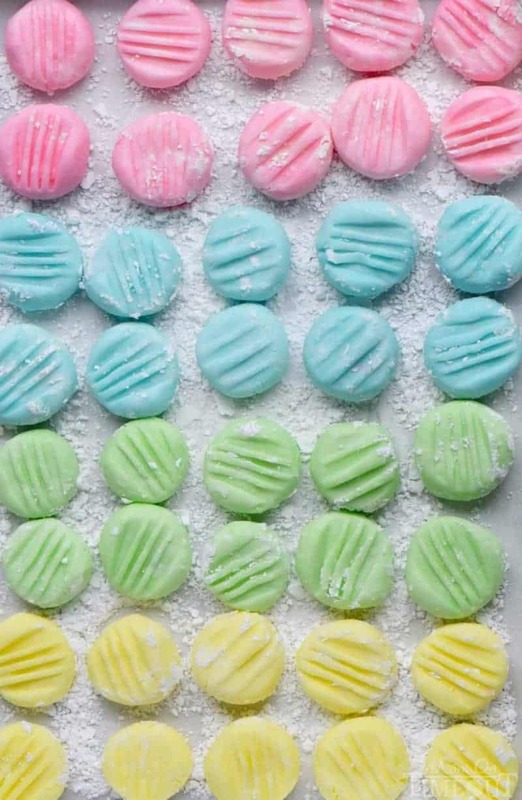 These are apparently The Best Cream Cheese Mints from Mom on Time Out, and they look so gorgeous! I can just see family and friends gathering around them as they get together for Easter celebrations. 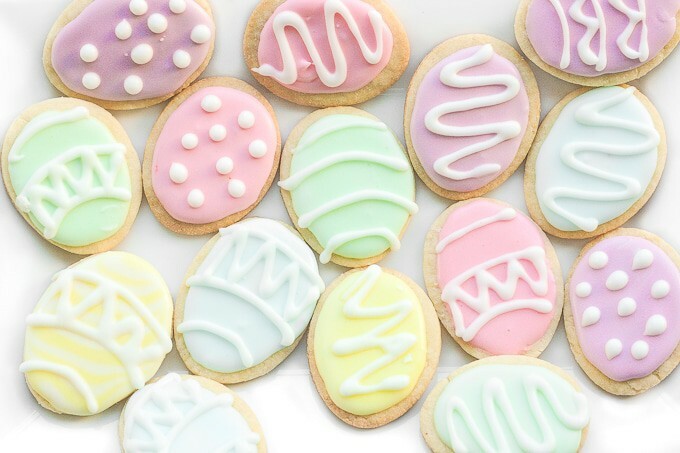 How pretty are these Easter Egg Sugar Cookies from Ahead of Thyme? what more could you want from an Easter treat? 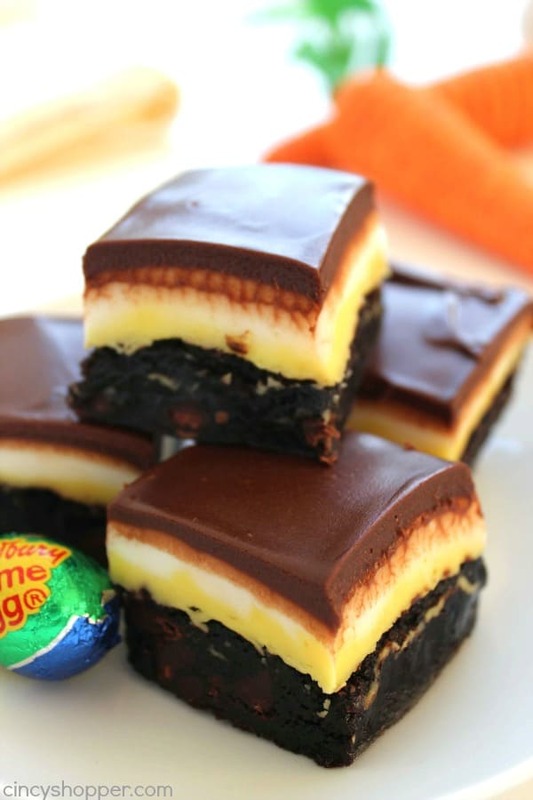 Cadbury Eggs are an Easter classic, and these Cadbury Egg Brownies from Cincy Shopper look delish! 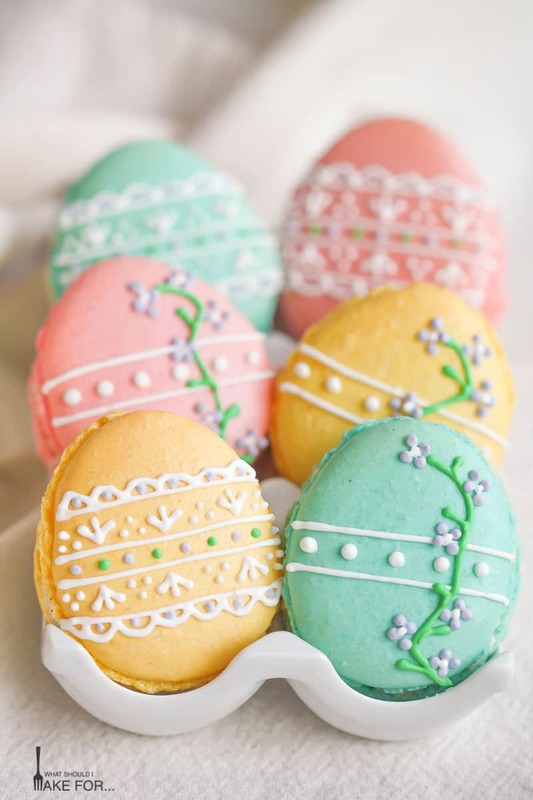 Easter Egg Macarons from What Should I Make For… are little works of art. Mine wouldn’t be quite as intricate, but I’m sure they’re delicious! 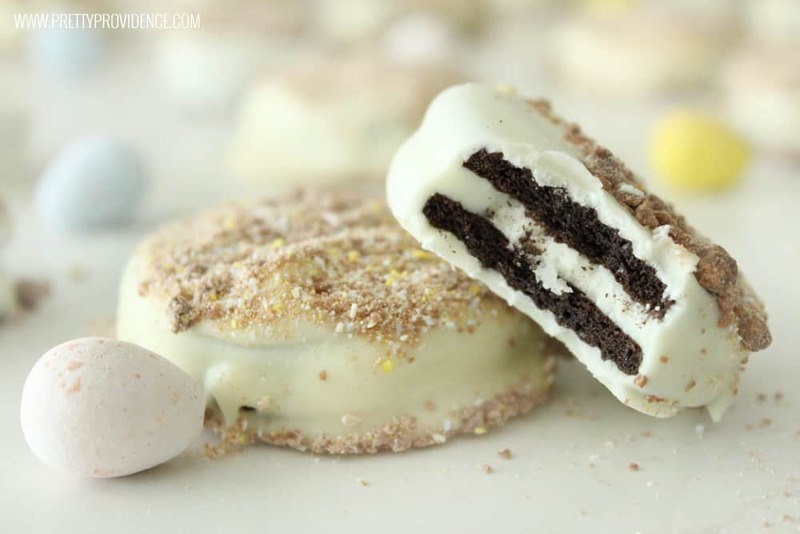 White Chocolate Cadbury Covered Oreos are crowd pleasers all around. These Bunny Tail Treats from Pizzazzerie are just darling! 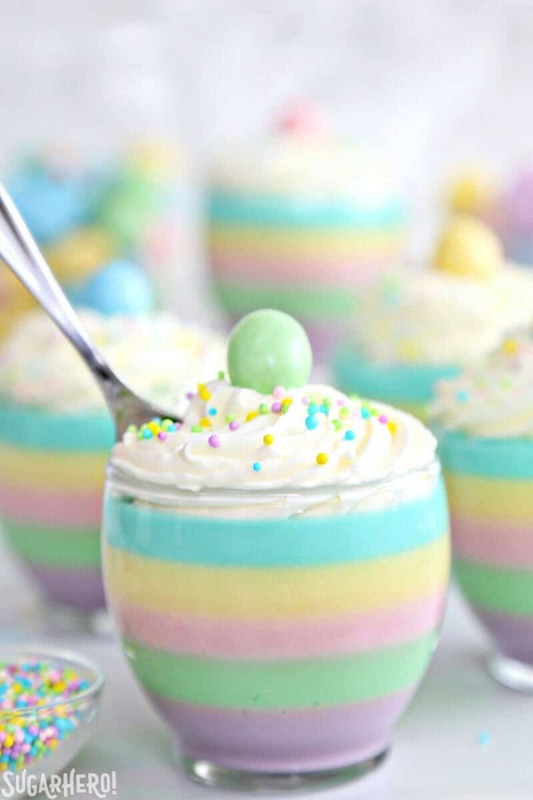 Speaking of pastel colors, these Pastel Rainbow Gelatin Cups from Sugar Hero! are almost as good to look at as they are to eat. 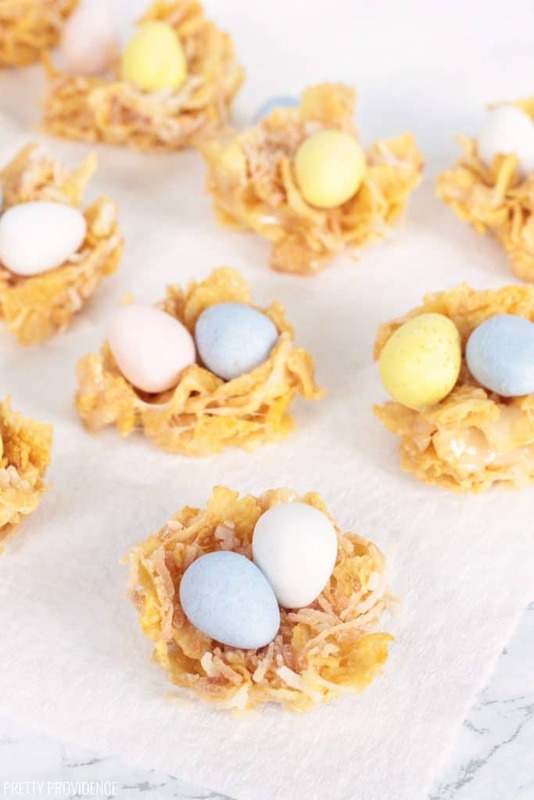 These easy Cornflake Easter Nests are so fun. You won’t believe how good the cornflake and marshmallow combo tastes! Robin eggs No-Bake Cheesecake from Barbara Bakes look like the perfect thing to add to your Easter celebration. Marshmallow eggs have always been one of my favorite things about Easter! 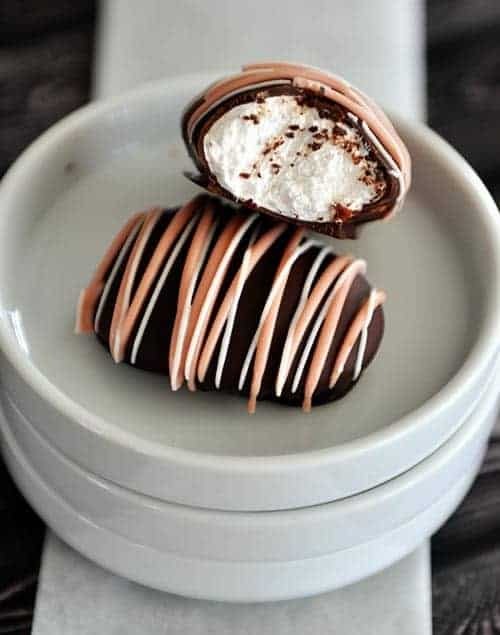 These Homemade Chocolate Marshmallow Eggs from Mels Kitchen Cafe are full of delicious nostalgia. This is my kinda dessert! 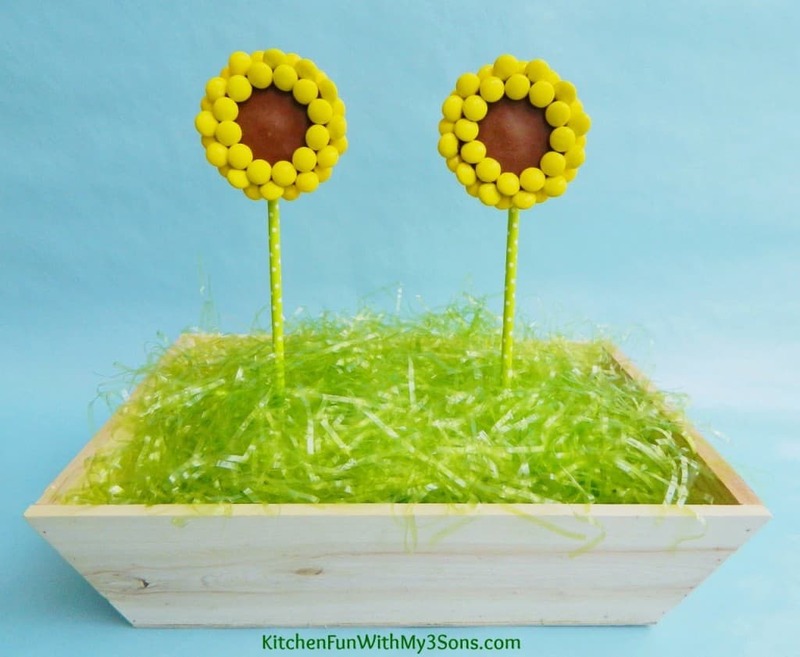 Absolutely no baking involved, these Reese’s Peanut Butter Cup Sunflowers from Kitchen Fun with my 3 Sons look so simple and pretty. 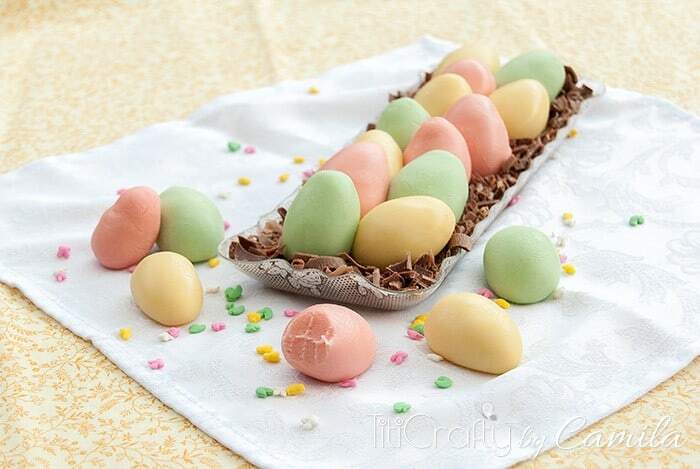 These Easter milk Truffles from The Crafting Nook look so amazing. Muddy Buddies are always a good idea. 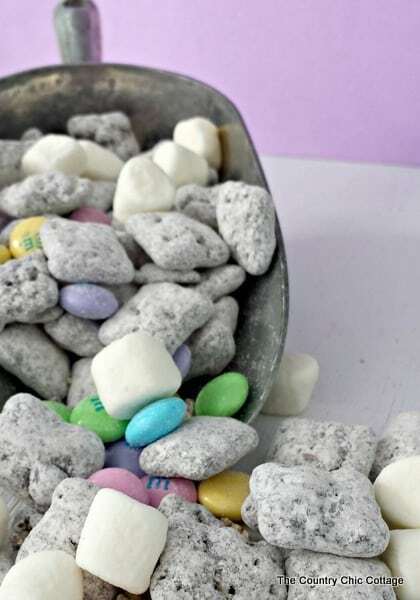 Easter Muddy Buddies from The Country Chic Cottage sound even better! 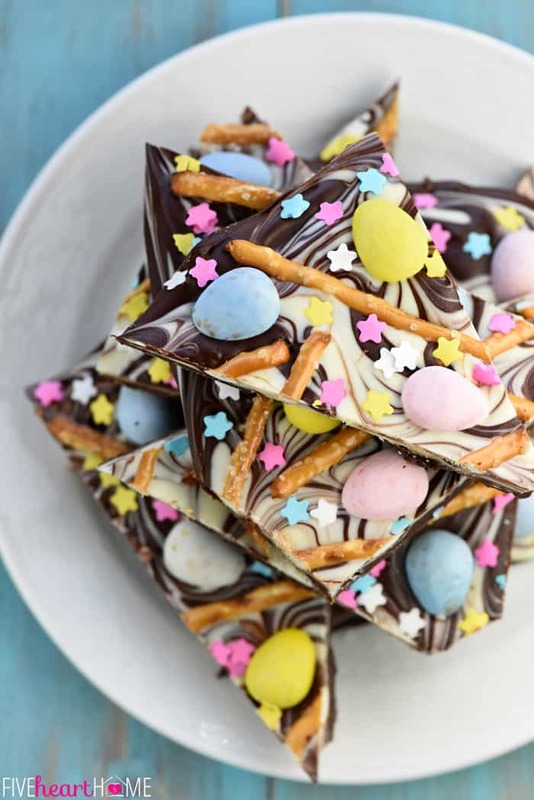 Look how pretty this Easter Egg Pretzel Chocolate Bark from Five Heart Home is?! 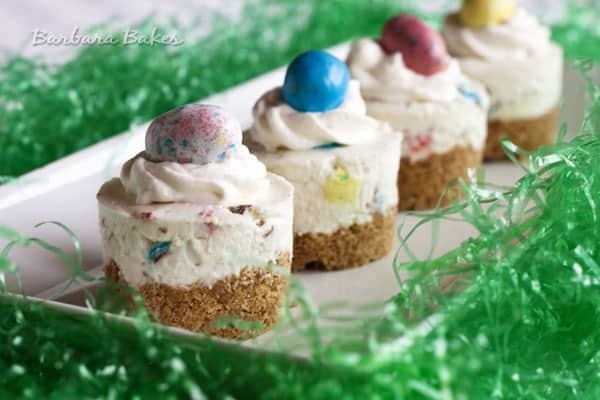 These Easter No-Bake Mini Cheesecakes from Sugar Hero! 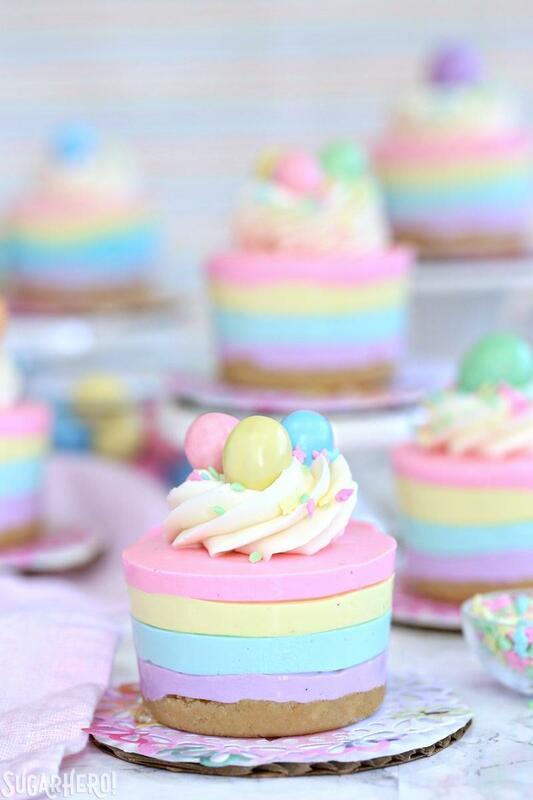 are the perfect blend of Easter, magic, Unicorns, and cream cheesy goodness. Peeps, love em or hate em? 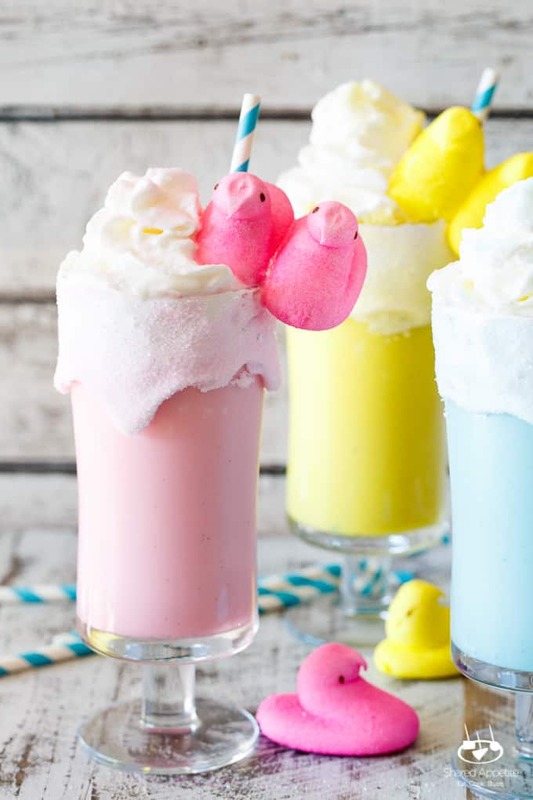 These Easter Peeps Milkshakes from Shared Appetite look like they tone down all that gooey sugary goodness just enough to make a delicious shake. 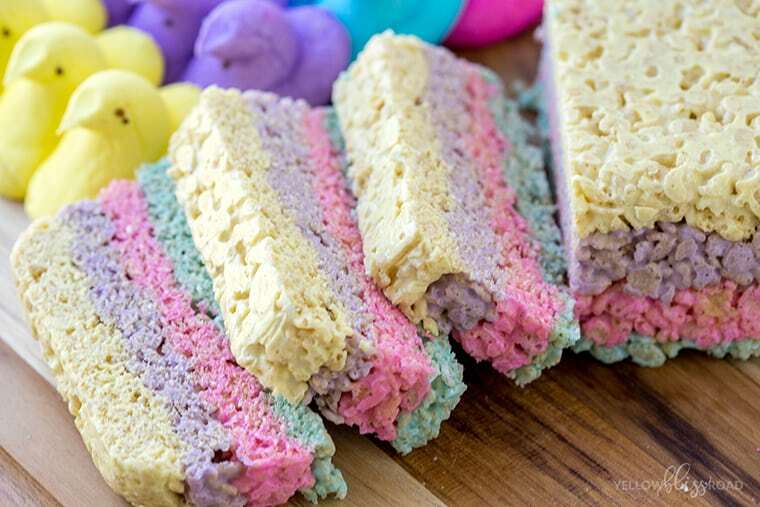 These Layered Peeps Crispy Treats from Yellow Bliss Road are adorable! 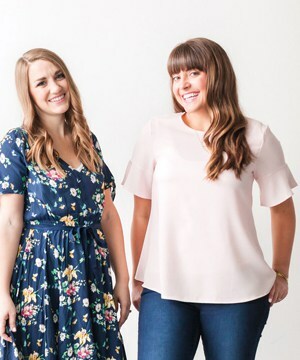 A great way to get in all those fun spring colors. 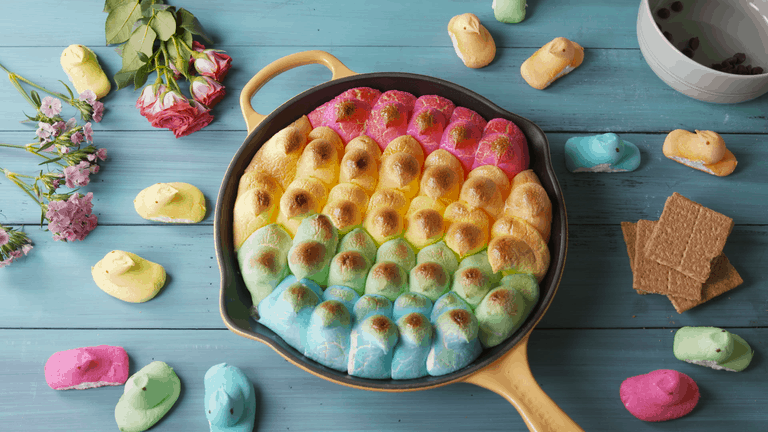 OK, this Peeps S’mores Skillet from Country Living is just gorgeous. That rainbow is just what your eyes want to see when dessert comes around, and I’ll bet it tastes even better than it looks. Pineapple Carrot Cake from Just a Taste sounds perfect. And how charming are they? 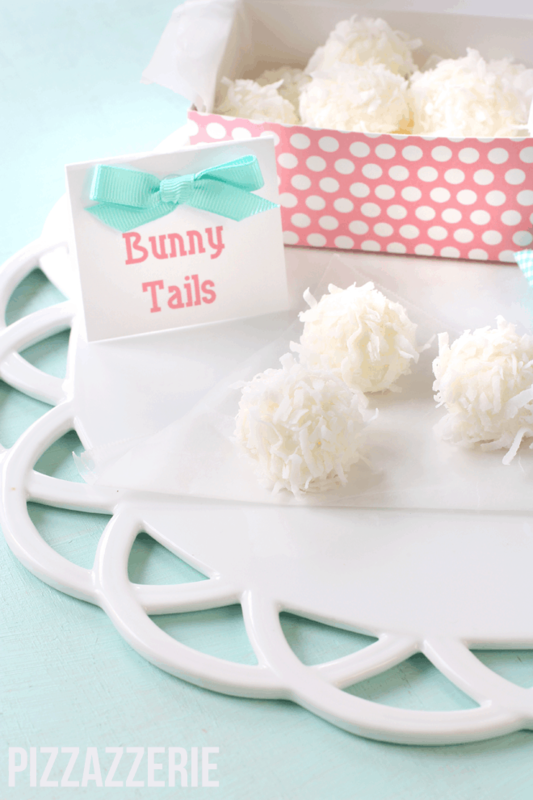 These Bunny Tail Cupcakes from Julie Blanner are just so classy. 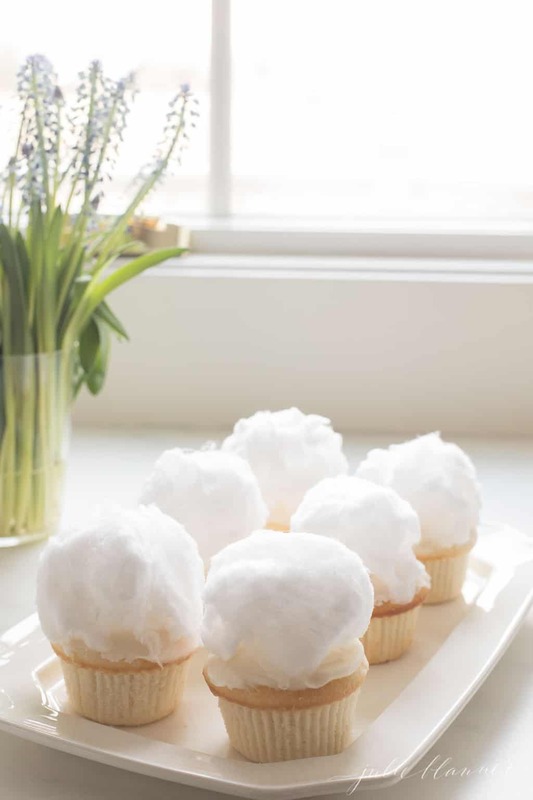 And as long as you can find a place to buy white cotton candy, super easy too. These Easter Chick Cup Cakes from Bird on a Cake look almost like giant peeps with cake underneath them!! I don’t think it gets any better than that. 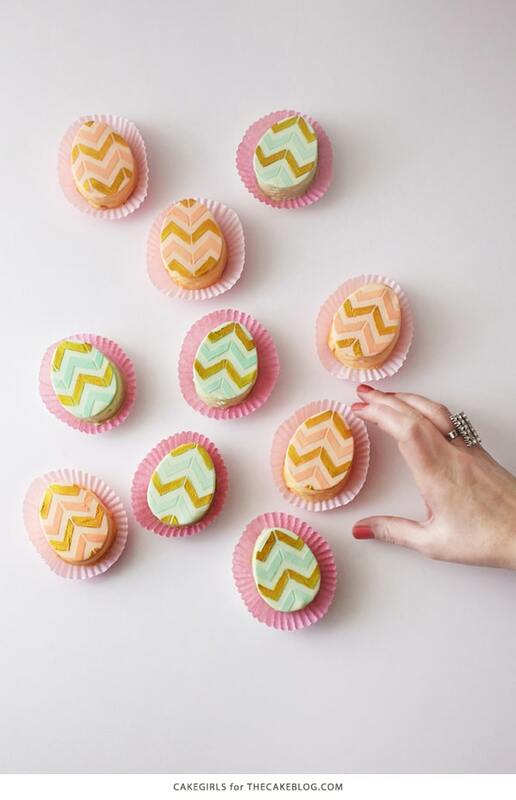 These Mini Easter Egg Cakes from The Cake Blog are picture perfect. You can choose how much effort to put into the design, and I’m sure no matter what route you take they will be still so tasty! 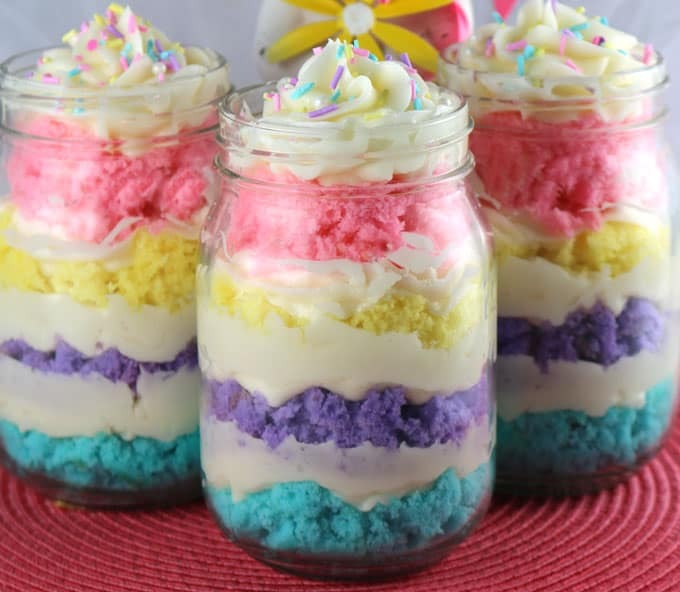 Springtime Cupcake in a Jar is exactly what it sounds like. Two Sisters Crafting have outdone themselves. 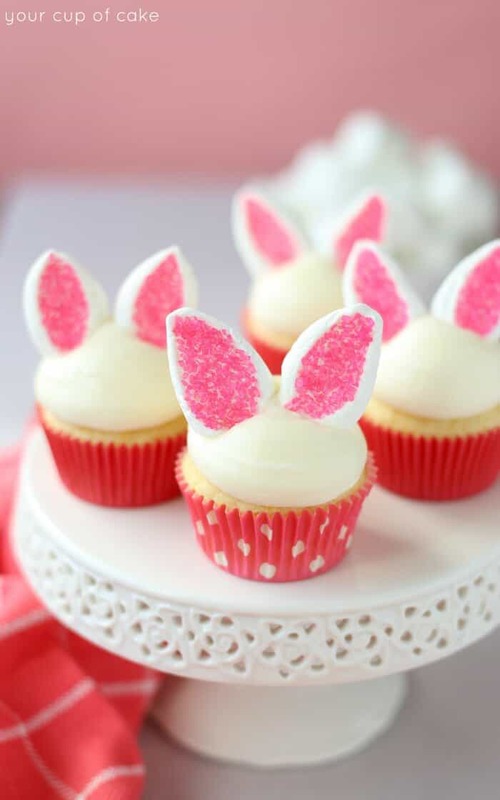 These Easy Bunny Cupcakes from Your Cup of Cake have the cutest little ears! 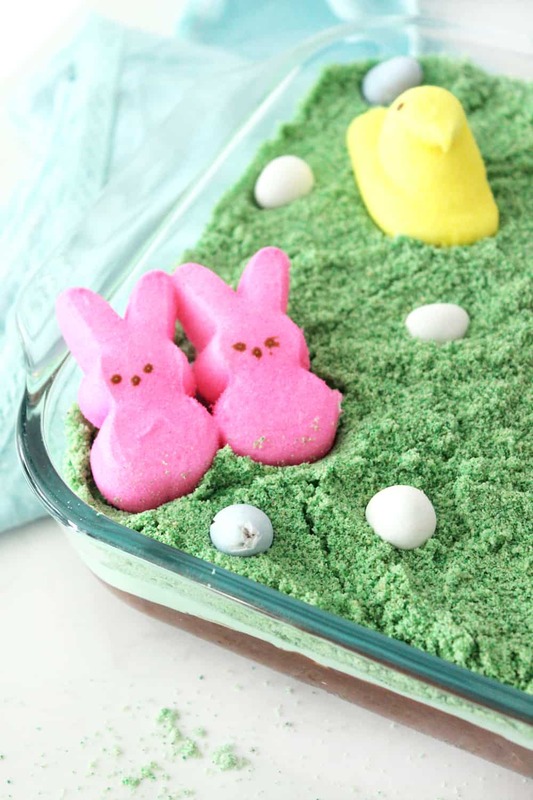 Easter Egg Dirt Cake is so precious. And since it’s supposed to look like dirt, the messier the better! 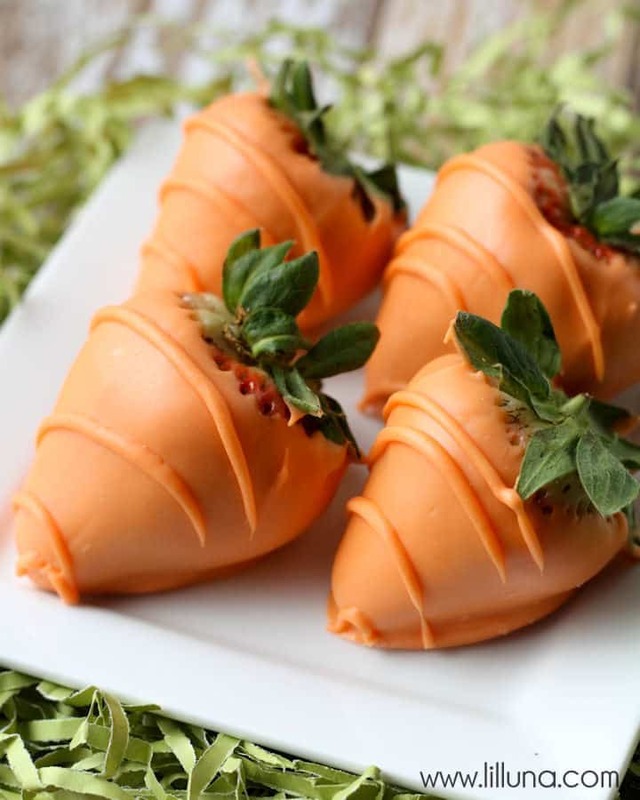 That’s a wrap on our favorite Easter sweets! Happy Easter from our Pretty Providence family to yours. Are you tempted to add any of these recipes to your spring time traditions?